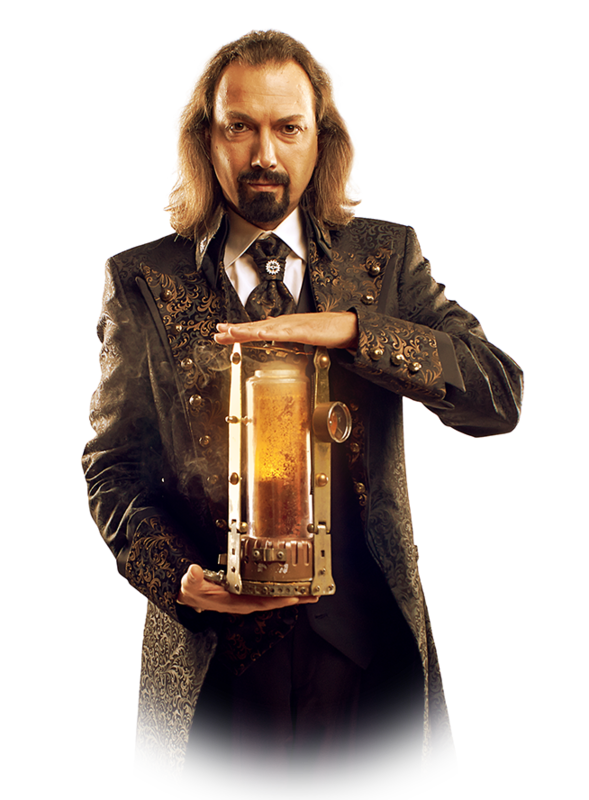 Illusionist Alberto Giorgi is among the foremost and most appealing examples in the European panorama of magic. His inimitable style – which perfectly combines both tradition and modernity – will lead you into his fascinating world. His uniqueness has led him to win the most sought after prizes and awards on the international scene. The most significant being the prestigious “Mandrake d’or”, won in Paris in 2008 and the second place at Shangai’s 2009 magic festival. Additionally, the “Montecarlo Magic Stars” award given to him during the 25th edition held in 2010 at the “Theatre Princesse Grace”. The numerous prizes and his continuous national and foreign television appearances which have characterized his career, combined with intense stylistic work on his act, have brought him to develop a distinctive and very personal magical universe, with fantastic machines inspired by the imagination of Jules Verne and G.H. Wells. Magic meets alchemy, creating a unique, mysterious and evocative atmosphere. Due to his innovative and visionary approach, his character seems to come directly from the pages of a fantastic story from a Tim Burton movie. The refined elegance of his performances and his incredible illusions will enchant you, taking you on an extraordinary and fantastic journey into a one-of-a-kind magical experience.